Parkinson’s disease is a progressive disabling neurodegenerative condition, and poses a variety of challenges. This adversely affects the quality of life for patients and their caregivers. People with chronic illnesses, like Parkinson’s disease, often receive care that is incomplete, inefficient, and fragmented, leading to ineffective treatment. 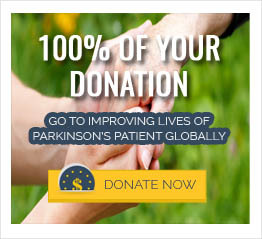 Research has shown that Parkinson’s disease patients have unmet needs in terms of education about their condition, particularly in regards to the various treatment options available to them, or accessing available care. There is much need for advancing patient education, and patient-centered care in Parkinson’s disease. Addressing these issues will require enhancing patient health literacy, patient empowerment, encouraging patients to stay informed, and play an active role in the decision-making aspect of managing their condition. These components are important steps for improving patients’ quality of care.